15. Constitution of State Information Commission . (1) Every State Government shall, by notification in the Official Gazette, constitute a body to be known as the.......................(name of the State) Information Commission to exercise the powers conferred on, and to perform the functions assigned to, it under this Act. Explanation. For the purposes of removal of doubts, it is hereby declared that where the Leader of Opposition in the Legislative Assembly has not been recognised as such, the Leader of the single largest group in opposition of the Government in the Legislative Assembly shall be deemed to be the Leader of Opposition. 17. 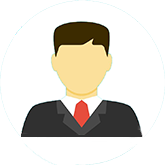 Removal of State Chief Information Commissioner or State Information Commissioner . (1) Subject to the provisions of sub-section (3), the State Chief Information Commissioner or a State Information Commissioner shall be removed from his office only by order of the Governor on the ground of proved misbehaviour or incapacity after the Supreme Court, on a reference made to it by the Governor, has on inquiry, reported that the State Chief Information Commissioner or a State Information Commissioner, as the case may be, ought on such ground be removed. 18. Powers and functions of Commission . (1) Subject to the provisions of this Act, it shall be the duty of the Central Information Commission or State Information Commission, as the case may be, to receive and inquire into a complaint from any person,. 21. Protection of action taken in good faith .No suit, prosecution or other legal proceeding shall lie against any person for anything which is in good faith done or intended to be done under this Act or any rule made thereunder. 22. Act to have overriding effect .The provisions of this Act shall have effect notwithstanding anything inconsistent therewith contained in the Official Secrets Act, 1923 (19 of 1923), and any other law for the time being in force or in any instrument having effect by virtue of any law other than this Act. 23. Bar of jurisdiction of Courts .No Court shall entertain any suit, application or other proceeding in respect of any order made under this Act and no such order shall be called in question otherwise than by way of an appeal under this Act. 25. Monitoring and reporting . 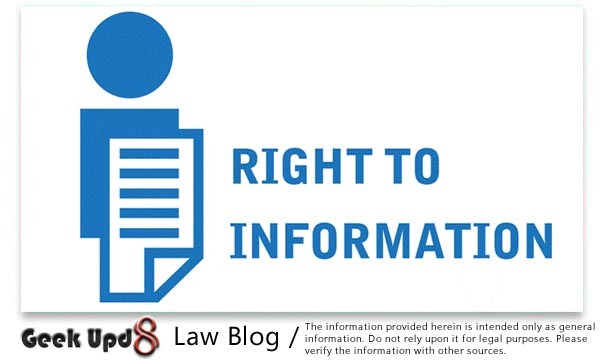 (1) The Central Information Commission or State Information Commission, as the case may be, shall, as soon as practicable after the end of each year, prepare a report on the implementation of the provisions of this Act during that year and forward a copy thereof to the appropriate Government. 27. Power to make rules by appropriate Government . (1) The appropriate Government may, by notification in the Official Gazette, make rules to carry out the provisions of this Act. 28. Power to make rules by competent authority . (1) The competent authority may, by notification in the Official Gazette, make rules to carry out the provisions of this Act. 29. Laying of rules . (1) Every rule made by the Central Government under this Act shall be laid, as soon as may be after it is made, before each House of Parliament, while it is in session, for a total period of thirty days which may be comprised in one session or in two or more successive sessions, and if, before the expiry of the session immediately following the session or the successive sessions aforesaid, both Houses agree in making any modification in the rule or both Houses agree that the rule should not be made, the rule shall thereafter have effect only in such modified form or be of no effect, as the case may be; so, however, that any such modification or annulment shall be without prejudice to the validity of anything previously done under that rule. 31. Repeal .The Freedom of Information Act, 2002 (5 of 2003) is hereby repealed. India as by law established, that I will uphold the sovereignty and integrity of India, that I will duly and faithfully and to the best of my ability, knowledge and judgment perform the duties of my office without fear or favour, affection or ill-will and that I will uphold the Constitution and the laws. 16. Directorate General of Income-tax (Investigation). 17. National Technical Research Organisation. 18. Financial Intelligence Unit, India. 20. Defence Research and Development Organisation.